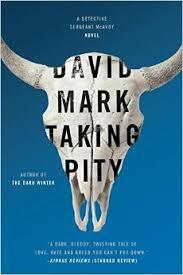 Taking Pity is book number four in David Mark's ongoing series featuring Aector McAvoy. I don't read a lot of series novels any more, but there are a few authors for whom I'll make an exception. David Mark is one of them. In my opinion, this is the best book of the entire series. It is a very good and balanced mix of police procedural and crime thriller (which I normally detest, but there are individual exceptions here and there -- rare, but they do exist), added to which are the personal stories of the main characters. It's bleak as bleak can be, and ends on a great note -- a kind of unspoken promise that these people will return. In fact, this book is almost like one of those big blockbuster novels where the forces of darkness are sort of lining up and getting organized to do battle with the good guys -- except for one thing. It's really tough to tell who the good guys actually are. Things aren't as cut and dried as one would think -- and that's a very good thing. 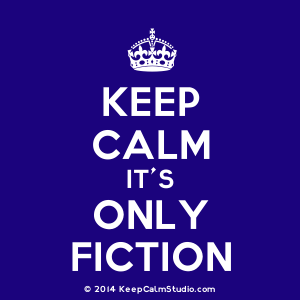 My only complaint (and I defy anyone to say it's not valid) is that the author gives away some information towards the middle that makes one of the big, twisty reveals as the story is beginning to come to a close not so big any more. It's like by the time I got there, I had already figured things out. However, if that's the worst thing I can say about this book, then that's not so bad. Frankly, I don't understand why David Mark is not more widely read -- his work is solid, intelligently written, his people are realistic and he's so very good at bleak and intense that it's hard to put his books down once they're picked up. And he's twisty. I do love a good twist here and there, and he is really quite good at it. If that's your cup of tea, I'd definitely recommend his novels, but please, do yourself a favor and start with book one. You will miss so very much if you don't -- the story that I think is going to appear in the next book started with the first one and has continued on through, so take the extra time to pick up his other books for your own good. Trust me...you will not be sorry. I loved the first book in this series, but I did not enjoy books two and three at all, although I know many many reviewers did like them. I can say he writes very well, and I agree, you want to read from the beginning to get the most out of them. In book three the author did something I couldn't believe he'd do (which sets up a subplot for this book and I'm sure the rest). I was downright upset. Skye, I almost deleted your comment -- pushed the wrong button! Whew. If you think you'll get to Taking Pity, I'd say yes. But do keep in mind that I'm a series purist. The storyline underneath all of the crime stuff is really the meat of this series. Thanks, Nancy; that does help a bunch; I am buried under books right now.